Wolven Protector T-shirt from The Mountain® features the artwork of UK artist Anne Stokes. 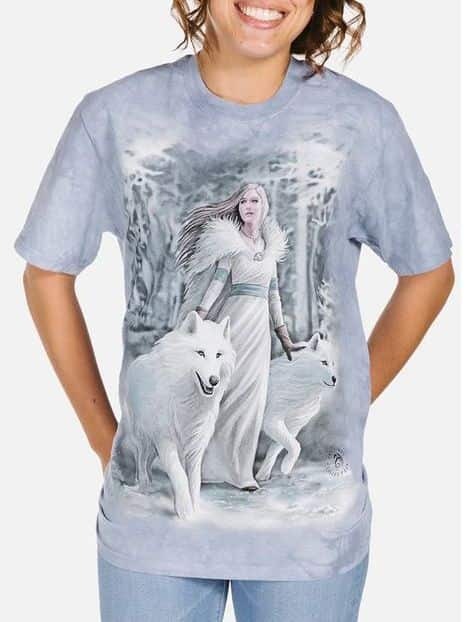 The adult wolf t-shirt has an image of a wolf and young girl. The wolf known for his protective loyalty will guard and protect her. The young girl has a tattoo of a wolf paw on her arm that shows the trusting relationship between her and the wolf.